Thad Allen is a leader in Booz Allen’s departments of Justice and Homeland Security business in the civil market. He is known for his expertise in bringing together government and non-government entities to address major challenges in a “whole of government” approach designed to achieve a unity of effort. Prior to joining Booz Allen, Mr. Allen served with the Rand Corporation. In 2010, President Barack Obama selected Mr. Allen to serve as the national incident commander for the unified response to the Deepwater Horizon oil spill in the Gulf of Mexico. Working closely with the US Environmental Protection Agency, DHS, the departments of Defense, Interior, Commerce, and Health and Human Services, state and local entities, and BP, he sought to bring a unity of effort to response operations. During his career in the U.S. Coast Guard, Mr. Allen served as its chief of staff and its 23rd commandant. In 2005, during his tenure as chief of staff, he was designated principal federal official for the U.S. government’s response and recovery operations throughout the Gulf Coast region in the aftermath of hurricanes Katrina and Rita. After Superstorm Sandy, New York Gov. Andrew Cuomo appointed Mr. Allen to the New York State Respond Commission, tasked with finding ways to ensure that New York State is ready to respond to future weather-related disasters. He is a fellow in the National Academy of Public Administration and a member of the Council on Foreign Relations. He also currently serves as a director on the Coast Guard Foundation and Partnership for Public Service. Watershed/outreach coordinator, Jacques Cousteau Reserve, Rutgers Institute of Marine and Coastal Sciences, Tuckerton, N.J.
Lisa Auermuller has been the watershed coordinator for the Jacques Cousteau National Estuarine Research Reserve in Tuckerton, N.J., since 2002. Her role includes assessing the needs of coastal decision makers and assembling training opportunities through JC NERR’s Coastal Training Program. Most recently, Lisa’s primary areas of interest have been in stormwater management, climate change and coastal community vulnerability as it relates to sea-level rise. Lisa has been working with a variety of partners to develop tools and protocols to help communities understand their risks, plan for those risks and put adaptation measures into place. President, Monmouth University, W. Long Branch, N.J. Prior to assuming the presidency of Monmouth University, Brown was the dean of the College of Business and Economics at Lehigh University in Bethlehem, Pennsylvania. Prior to joining Lehigh, Brown spent over 20 years at New York University’s Stern School of Business where he held a variety of senior academic and administrative positions at both the school and university level. His research interests in financial reporting and analysis include: financial statement analysis, FASB/SEC policy analysis, international reporting and analysis, earnings measurement and management, as well as managing earnings expectations. Brown is a professor of accounting with an emphasis on financial analysis and governance. President and Chief Executive Officer, Geraldine R. Dodge Foundation, Morristown, N.J.
Chris Daggett has been a respected leader in New Jersey’s nonprofit world for nearly 20 years, serving on a number of boards, including the Schumann Fund for New Jersey, Regional Plan Association, and The Trust for Public Land. Previously, Chris served as deputy chief of staff to the governor of New Jersey, regional administrator of the U.S.Environmental Protection Agency and commissioner of the N.J. Department of Environmental Protection. In addition, he was a managing director of William E. Simon & Sons, a private investment firm, and has operated a brownfields development company, acquiring, remediating and redeveloping environmentally impaired real estate. Just prior to coming to the Dodge Foundation, he was a principal with JM Sorge, Inc. (JMS), an environmental consulting and management firm providing assessment, investigation and remediation services to the public and private sectors. Alyssa Durnien has been a resident of Keansburg for 14 years and is currently a member of the Keansburg EMS Department. In her role as an organizer with Occupy Sandy NJ she helps Sandy survivors navigate their recovery. She is a Sandy survivor herself, and because she has faced many of the same challenges she is able to impart lessons to others as they struggle through the recovery process. Former governor, state of New Jersey; founding partner of Florio Perrucci Steinhardt and Fader, Phillipsburg, N.J. Governor James J. Florio currently serves as chair of Florio Perrucci Steinhardt and Fader’s environmental group as well as the government and regulatory affairs group, and is a senior policy fellow for public policy and administration at the Edward J. Bloustein School of Planning and Public Policy at Rutgers University, previously having served as a university professor. He also served as chairman of the board of directors of the Federal Home Loan Bank of New York and as chairman of the Pinelands Commission in New Jersey. As the governor of New Jersey from 1990 through 1994, he was responsible for signing into law the Clean Water Enforcement Act (1990), one of the strongest environmental laws of its type in the nation. He also signed the Quality Education Act, which provided greater equity in New Jersey’s school finance system; a landmark welfare reform package; a health care cost-reduction program; and the nation’s toughest assault weapons ban. Principal/vice president, Langan Engineering, Elmwood Park, N.J.
Chris Hager joined Langan in 1994 and currently heads Langan’s Philadelphia office as well as the site/civil engineering and land development departments in Philadelphia. He has served both private and public-sector clients in land development and urban redevelopment throughout Pennsylvania, New Jersey, New York, and abroad. He is an active member of the Urban Land Institute (ULI) locally and nationally. He is currently chairman of the ULI Philadelphia District Council; sits on its governance, advisory, and management committees; and serves on ULI’s national Urban Development & Mixed-Use Council. He recently served on ULI’s Advisory Services Panel, After Sandy: Advancing Strategies for Long-term Resilience and Adaptability. He is also a member of the American Society of Civil Engineers and Chi Epsilon Engineering Society. Senior Associate; lead planner, Jersey Shore, Rebuild by Design project team, Sasaki, Watertown, Mass. Brie is an urban planner and project manager in Sasaki’s Urban Studio. Her work ranges in scope from neighborhood and downtown plans to city-wide parks master plans and riverfront master plans. She has also worked for a number of colleges and universities, and is deeply knowledgeable about the relationships between institutions and their surrounding contexts. With a passion for understanding and improving cities, Brie brings to Sasaki’s planning and design ideas and projects a focus on integrating people, communities, context, and the human experience. She has extensive experience with community engagement processes and an understanding of the complex range of constituencies involved in implementing a successful planning project. Prof. Janetos has devoted his career to high-impact global change science and policy, earning international recognition for his scholarship and holding executive leadership positions at institutions including the U.S. Environmental Protection Agency, NASA, World Resources Institute, and the Heinz Center for Science, Economics, and the Environment. He has written and spoken widely on the need to understand the scientific, environmental, economic, and policy linkages among the major global environmental issues, and he has served on several national and international study teams, including working as a co-chair of the U.S. National Assessment of the Potential Consequences of Climate Variability and Change. In addition to his research interests in the interaction of land systems with human needs and climate change, he has been an Intergovernmental Panel on Climate Change Lead Author and Coordinating Lead Author, and has served on multiple National Research Council Committees and Boards. In addition, Prof. Janetos chairs numerous advisory committees for research related to environmental decision-making, and has published in both natural science and social science venues. Executive Director, New Jersey Future, Trenton, N.J.
Peter has been actively engaged in the areas of housing and sustainable development and community revitalization for the past 20 years. Before taking the helm of New Jersey Future in December 2007, he was chief of policy and community development for the New Jersey Housing & Mortgage Finance Agency, where he guided investment programs and developed a comprehensive state housing policy for use by the Department of Community Affairs. Prior to joining the HMFA, he oversaw all planning and real estate development activities for Isles, a private nonprofit community development organization in Trenton. Peter is a licensed New Jersey Professional Planner and holds a B.S. in Economics from the Wharton School of the University of Pennsylvania. Mr. LaRossa joined PSE&G, New Jersey’s largest electric and gas utility, in 1985 as an associate engineer, and advanced through a variety of management positions in the utility’s gas and electric operations. In 1998 he received Gas Industry Magazine’s Outstanding Manager of the Year Award. Prior to assuming his current position in October 2006, he was vice president – electric delivery for PSE&G. He is a graduate of Stevens Institute of Technology and has completed the Harvard Business School’s Program for Management Development. He serves on the board of directors for the American Gas Association (AGA), New Jersey Utilities Association (NJUA), New Jersey Performing Arts Center (NJPAC), Partnership for a Drug-Free NJ, Choose New Jersey, and Bergen County’s United Way. He also serves on the board of trustees for Montclair State University and the Newark Alliance. Natural hazards expert and vice president, global partnerships, Swiss Re America Holding Corporation, Armonk, N.Y.
At Swiss Re America Holding Corporation Megan’s primary responsibility is risk analysis and structuring of public-private transactions which cover governments against losses incurred due to natural catastrophes. She also provides real-time weather forecasts during impending severe weather events. Prior to joining Swiss Re in 2012, she worked as a weather derivative underwriter and catastrophe bond analyst at Allianz Risk Transfer. Between 2008 and 2011, she was an atmospheric perils expert for the Swiss Re Cat Perils team; her responsibilities included assessing the insurance risk posed by hurricanes, tornadoes, hail and winterstorms globally and developing pricing tools and techniques for underwriters, actuaries and insurance-linked security traders. She is one of Swiss Re’s experts on climate change science and is widely published on the subject. Director, Urban Coast Institute,Monmouth University, W. Long Branch, N.J. Prior to joining Monmouth University, Tony MacDonald was from 1998 through 2005 the executive director of the Coastal States Organization (CSO). Based in Washington, D.C., CSO represents the interests of the governors of the United States’ 35 coastal states and territories on coastal and ocean policy matters. Prior to joining CSO, Mr. MacDonald was the special counsel and director of environmental affairs at the American Association of Port Authorities, where he represented the International Association of Ports and Harbors (IAPH) at the International Maritime Organization on negotiations on the London Convention. Tony has also practiced law with a private firm in Washington, D.C., working on environmental and legislative issues, and served as the Washington, DC environmental legislative representative for the Mayor of the City of New York. Former commissioner, New Jersey Department of Environmental Protection; director, environmental affairs and planning, Edgewood Properties, Piscataway, N.J.
Mark Mauriello began his career with the New Jersey Department of Environmental Protection (DEP) in May 1980 where he rose through the ranks of the Division of Coastal Resources and the Land Use Regulation Division, and was appointed as division director in 2002. In 2006 he was selected by then-DEP Commissioner Lisa Jackson to be assistant commissioner for land use management. In November 2008 Mauriello was nominated by then-Gov. Jon S. Corzine to serve as commissioner of the DEP, replacing newly confirmed U.S. Environmental Protection Administrator Jackson. Mr. Mauriello served in that capacity from November 2008 until his retirement from DEP in January 2010. He is currently active in the field of floodplain management, founding the New Jersey Association for Floodplain Management and serving two terms as regional director of the National Association of State Floodplain Managers. John Miller has been the legislative committee chairman for the New Jersey Association for Floodplain Management (NJAFM) since 2007 and is a past chairman and a founder of this chapter of the association. He has worked to increase the profile of the organization, built relationships with federal, state, local officials and non-profits and represented NJAFM on its public positions, most recently in the aftermath of Hurricane Sandy. As a regional ASFPM director between 2006 and 2009, he has continued his involvement on national policy and representation on Capitol Hill. He was appointed to a task force to address the substantial Delaware River floods between 2004 and 2006. In 2010, he served on the Passaic River Basin Flood Commission, recommending a multi-pronged approach to a historically flood-prone and densely developed watershed. He serves on the City of Lambertville Planning Board and Emergency Management Council and is the FEMA Community Rating System coordinator. Director, Monmouth University Polling Institute, W. Long Branch, N.J.
Patrick Murray was named the founding director of the Monmouth University Polling Institute in 2005. During his brief tenure the Monmouth University/New Jersey Press Media Poll has established itself as the Garden State’s “poll of record” for its in-depth tracking of public policy and quality of life issues. In 2010, PolitickerNJ.com named Mr. Murray “Pollster of the Year” and also placed him at number 43 on its New Jersey Power List of the 100 most politically influential people in the state. He frequently appears as a commentator on state and regional television and radio, and has been interviewed by national media, including CNN’s The Situation Room and ABC’s Good Morning America. Murray is a member of the American Association for Public Opinion Research. Director, Kislak Real Estate Institute, Monmouth University, W. Long Branch, N.J.
Peter Reinhart joined Monmouth University as director of the Kislak Real Institute in August 2011. He was formerly senior vice president and general counsel at Hovnanian Enterprises Inc. He is a past president of the New Jersey Builders Association. Mr. Reinhart has written articles for several trade publications including Housing New Jersey Dimensions, Tri-State Real Estate Journal and New Jersey Lawyer. He has lectured for the Institute of Continuing Legal Education, the New Jersey Builders Association, the National Association of Home Builders, the New Jersey League of Municipalities, Rutgers-Camden School of Law and the Woodrow Wilson School at Princeton University. He was instrumental in rewriting the access code used by the New Jersey Department of Transportation. Director, Center for Science and Democracy, Union of Concerned Scientists, Cambridge, Mass. Andrew A. Rosenberg came to UCS from Conservation International, where he served for two years as the organization’s senior vice president for science and knowledge. Previously, he served as the northeast regional administrator of the National Marine Fisheries Service at the National Oceanic and Atmospheric Administration, where he negotiated recovery plans for New England and mid-Atlantic fishery resources, endangered species protections and habitat conservation programs. He later became deputy director of the service. Dr. Rosenberg is also the convening lead author of the oceans chapter of the U.S. Climate Impacts Advisory Panel. He is a member of the National Academy of Sciences’ Ocean Studies Board and the U.S. Commission on Ocean Policy. He is a professor of natural resources and the environment at the University of New Hampshire, where he previously served as dean of the College of Life Sciences and Agriculture. Director, Center for the Urban Environment at the John S. Watson Institute for Public Policy, Thomas Edison State College, Trenton, N.J.
Mr. Sheats has defined the mission of the Center for the Urban Environment as providing support for New Jersey’s environmental justice community. Mr. Sheats has also been a member of the New Jersey Environmental Justice Alliance since its inception in 2003. He works on a variety of environmental-justice issues, including climate change. He is also pursuing scientific research with several academic partners. After receiving his Ph.D. he worked for Environmental Defense as a science and law fellow, at The College of New Jersey as a visiting scholar and at the Earth Institute of Columbia University as a post-doctoral fellow. Prior to studying science Sheats worked as a public-interest attorney, as a law clerk for the Chief Judge of the District of Columbia Court of Appeals, a landlord-tenant and housing attorney at Camden Regional Legal Services, a public defender in New Brunswick, and a legal instructor at a community legal education and college preparatory program in Harlem. Vice president for climate impacts and director of the program on sea level rise, Climate Central, Princeton, N.J.
Dr. Strauss has published multiple scientific papers on sea level rise, testified before the U.S. Senate, authored the Surging Seas report, and led development of the SurgingSeas.org coastal flood risk tool, leading to front-page coverage in the New York Times and Washington Post, appearances on NBC, ABC, CBS, PBS and NPR national programming, and extensive coverage nationwide, from AP, Reuters, Bloomberg, USA Today and the LA Times, to many hundreds of local news outlets, to numerous editorials and op eds. In earlier roles at Climate Central, Dr. Strauss served as interim executive director for one year, chief operating officer, associate director and staff scientist. A founding board member of Grist.org, he previously helped launch the Environmental Leadership Program. Prior to that, Dr. Strauss worked for Abt Associates, co-organized the Campus Earth Summit, and authored a report for the Nathan Cummings Foundation on college environmental education and practices. Senior director of state policy, New Jersey Future, Trenton, N.J.
Chris directs New Jersey Future’s policy development and advocacy across a host of issues including state and regional planning, sustainable infrastructure, and incentives for compact, equitable development. She spearheaded the adoption of legislation authorizing better cluster development tools, and is frequently quoted in the media. Chris serves as a trustee for the Council on Affordable Housing and the Environment, and is a member of the Clean Water Council of New Jersey and the NJ Climate Adaptation Alliance. Her career experience includes serving as the assistant director of the Capital City Redevelopment Corporation, as well as working for the MSM Regional Council (now PlanSmart NJ), the Eagleton Institute, and the Office of State Planning. She holds a master’s degree in Public Affairs from the Woodrow Wilson School at Princeton University, where she concentrated in Urban and Regional Planning. 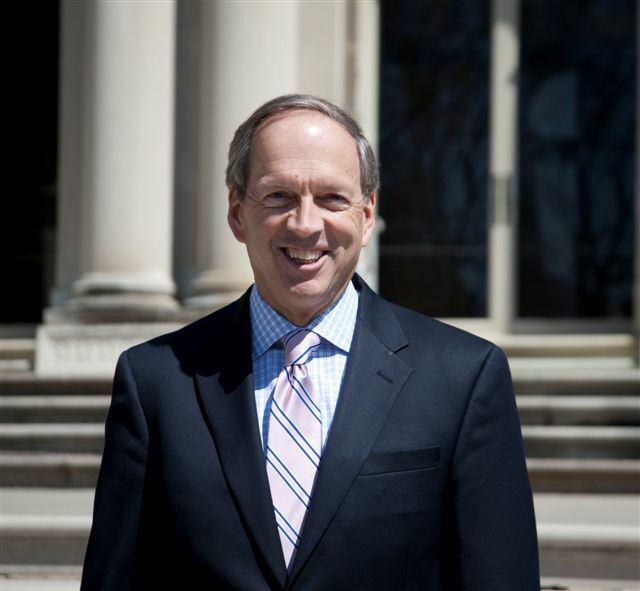 Former governor, state of New Jersey; 2013-2014 distinguished public servant-in-residence, Monmouth University, W. Long Branch, N.J. Governor Whitman served as New Jersey’s 50th governor, from 1994 to 2001. She entered the statehouse as New Jersey’s first woman governor, the second Republican woman chief executive in any state, and the 13th woman governor in American history. As governor, Whitman’s agenda focused on three central policy areas: economic growth, good schools and safe streets. Environmental protection and preservation of open space were high priorities as well. From 2001 to 2003, she served as the administrator of the federal Environmental Protection Agency. Whitman is the author of a New York Times best seller, It’s My Party Too. She is currently the president of the Whitman Strategy Group, a firm that specializes in energy and environmental issues.